Star Trek (now often called Star Trek: The Original Series), was a science fiction series that went for 3 seasons from 1966 – 1969. Although it was cancelled, it gathered a cult following, which is why you already knew that bit. It also spawned a Saturday morning cartoon (also called Star Trek, but now often called Star Trek: The Animated Series) for two seasons from 1973 to 1974. This has been largely ignored by the makers of Star Trek and largely forgotten by Trekies. 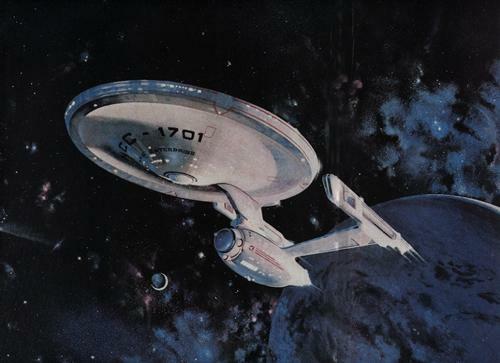 The continued interest in Star Trek lead to Paramount to become interested in making a feature film, but after many attempts, that too was shelved when the Star Trek: Planet of the Titans was cancelled during pre-production in May 1977. On the 10th of June 1977, Paramount announced its plans to establish a fourth television network. And to anchor the new network would be a new Star Trek series. The original cast was recruited, except Leonard Nimoy who had had problems with Star Trek creator Gene Roddenberry and was offered the chance to appear in the pilot and 2 out of every 11 subsequent episodes. Meanwhile, Shatner's price was so high that the production wasn't sure if they could afford him for more than 13 episodes, so plans were made to reduce his character Kirk to cameos or kill the character off after the first 13 episodes, requiring the addition of William Decker, a new first officer, to eventually replace him as lead. Captain James T Kirk: Possibly only the first 13 episodes (maybe cameos afterwards). Lt Vulcan: When Leonard Nimoy refused to return as Spock, the part was given the generic title until another name (eventually Lt Xon) could be come up with. David Gautreaux was cast in the role on 26th of September. The apart from Spock, the rest of the original crew, McCoy, Scotty, Uhura, Sulu and (now Lt) Chekov were also returning, including Nurse (now Doctor) Chapel and Rand. "In Thy Image" by Alan Dean Foster - Based on "Robot Returns" episode idea from Genesis II. The 2 hour pilot (chosen as the pilot because it begins with the Enterprise at Earth) in which a craft from the past threatens Earth. Became Star Trek: The Motion Picture. "Tomorrow and the Stars" by Larry Alexander - Based on "The Apartment" episode idea also from Genesis II. A transporter accident sends Kirk back to Pearl Harbour before the attack, where he falls in love with a married woman who he cannot save by warning of the upcoming air-raid. "Cassandra" by Theodore Sturgeon. Yeoman Kart bring a cute but mischeivous creature back to the Enterprise, accidentally almost starting a civil war in the process. "Kitumba" (two parts) by John Meredyth Lucas. Political maneuverings as the Enterprise gets involved with Klingon society. "Practice in Waking" by Richard Bach. While exploring an abandoned ship, the away team fall unconscious and share a dream that they are in sixth century Scotland. "Deadlock" by David Ambrose. Starfleet become involved in militaristic mind-control. Or do they? "Savage Syndrome" by Margaret Armen & Alfred Harris. The crew turn primative and savage. "Are Unheard Memories as Sweet" by Worley Thorne. An away time discovers beautiful women or revisit their own past while searching for a lost Star Fleet vessel on a mysterious planet. "The Devil's Due" by William Douglas Lansford. Became an episode of Star Trek: The Next Generation. "The Attain the All" by Norman Spintad. The Enterprise encounter a race absorb the minds of others into their group-mind. "The War to End All Wars" by Arthur Bernard Lewis. The Enterprise visits the planet Shadir which Star Fleet discovered 200 years earlier was a utopia, only to find that has since been devastated by war. "The Child" by Jared Summers & Jon Povill. Became an episode of Star Trek: The Next Generation. It was reported in December of 1977 that Paramount's plans for a new network had fallen though and Star Trek II was being scrapped. Although Paramount continued to deny it the production was now focused on the production of a motion picture (although to keep up appearances, scripts were still being worked on, even without the writers knowledge that they weren't going to be used), sets being upgraded for film (although they weren't used) and TV quality models scrapped. 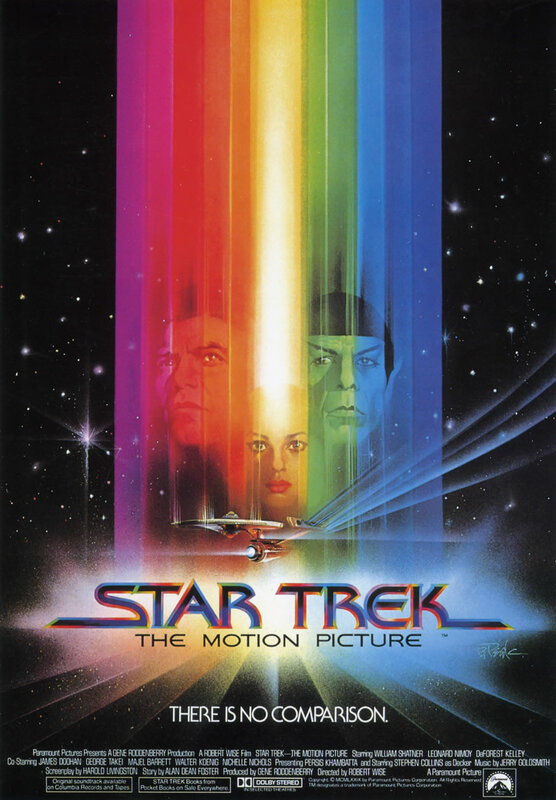 Star Trek: The Motion Picture - "In Thy Image" was rewritten to become the film, and included the new characters Decker and Ilia. 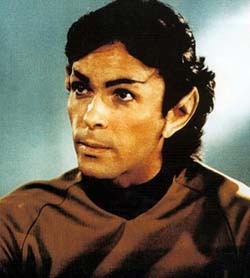 It also includes (briefly) a new Vulcan science officer, Lt Sonak. 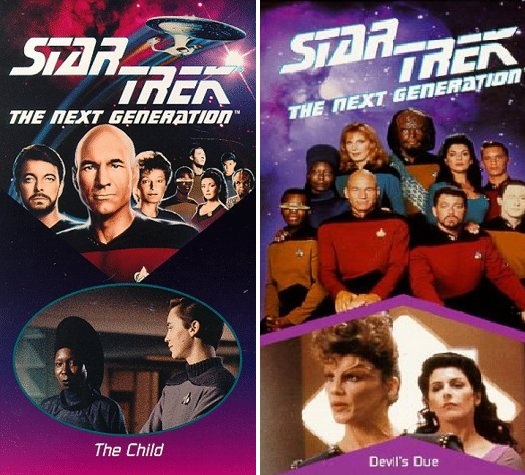 Star Trek: The Next Generation - "The Child" and "The Devil's Due" were both reused for the series. Riker and Troi and their relationship are modelled on Decker, Illia and they're bond. 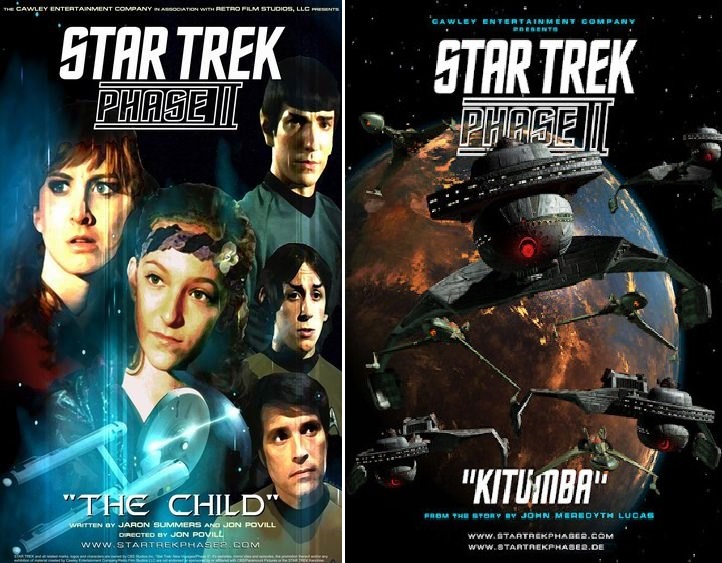 Star Trek: New Voyages - The fan-film series changed its name to Star Trek: Phase II and has adapted "The Child" and "Kitumba" Part 1 & 2 (as a single part episode). 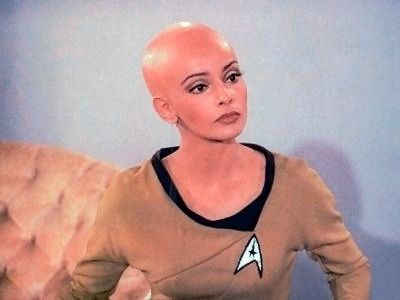 The definitive source of information on Star Trek II (or Star Trek: Phase II) is Judith & Garfield Reeves-Stevens' Star Trek: Phase II - The Lost Series which goes into a lot more detail than this blog even could and includes some scripts.